Arranged by shape, style, technique of metal works and decoration, the art crafts Noblie are exposed in different collections. Aristocrat We are proud to introduce our special collection named “Aristocrat”. 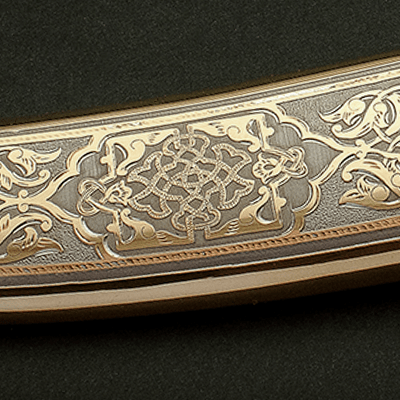 It is inspired by the exquisite nuance of edged weapons, as they have always been an attribute to noble men and their splendor shows off the prestigious status of the owner. We dedicate it to the collectors that recognize themselves as aristocrats by heart or by aesthetic. Art Knives It is the “Art knives” collection where the unique artistry meets the knife making. Sculptural blades and handles, knife composition of leading world class engravers, blade smiths and knife makers are the most outstanding pieces of our products. 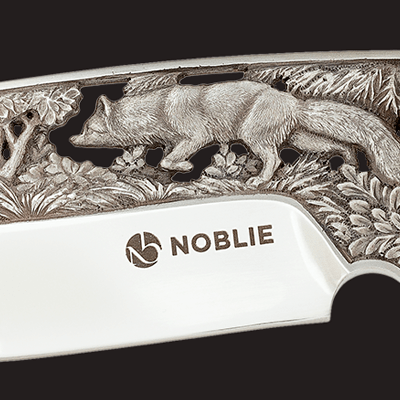 Art of Engraving Collection “Art of engraving” includes high quality hunting knives, decorated by hand engraving and scrimshaw. Stainless steel, titanium, ebony, mammoth ivory and other precious materials are implemented in production of these art knife series. 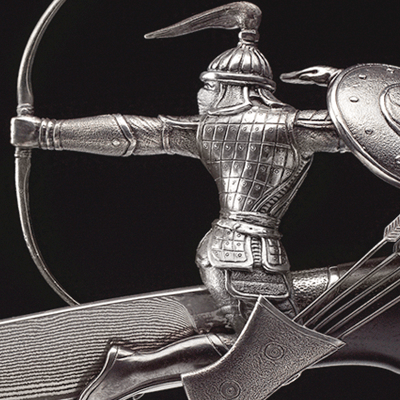 SILVER AGE The mastery of processing of high quality materials such as Damascus steel, wootz, bronze, silver and gems is represented in our collection “Silver Age”. 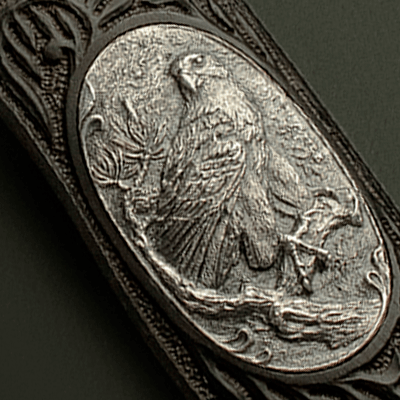 Produced by techniques of forging, jewelry appliances, wood carving and engraving , the hunting knives from this series are highly rated by hunters and collectors.